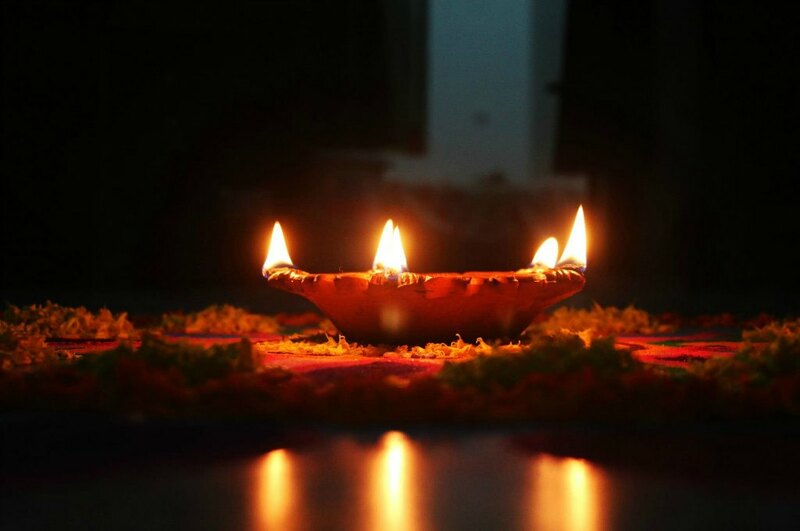 Diwali is a unique celebration in Odisha. Here, the 'Festival of Lights' is not just limited to customary bursting of crackers and exchange of lip-smacking sweets, but also accompanied by Kali Puja and the ritualistic ceremony of 'Badabadua Daka'. The celebrations are special in the Millennium City of Cuttack, Coastal town of Bhadrak and the very-popular Pilgrim Town of Puri. At Cuttack, festivity is a never-ending affair during this part of the year. Just a fortnight after Durga Puja, the city braces up for Kali Puja that coincides with Diwali, a celebration of victory of good over evil. Keeping up with the saying ‘Baara Mase Tera Parba’ (13 Festivals in 12 Months of A Year), people of Cuttack celebrate Kali Puja and Diwali with much fervour and gaiety. Although the celebrations are not as grand as Durga Puja, the revelers are no less enthusiastic. This year, around 70-odd puja committees are worshipping Kali, another form of Goddess Durga. A majority of the temporary pandals house a particular iconography of Goddess Kali, who steps on Lord Shiva wearing a garland of human skulls and her tongue piercing out. This form is called ‘Tara’; her colour is blue and she is shown naked to the waist, wearing a garland of human heads and then clad in tiger skin. The only puja committee that worships the ‘Chhinamasta’ form of the deity is the Bakhrabad Kali Puja Committee. Here, the deity holds her own severed head in one hand and a scimitar in another. Three jets of blood spurt out of her bleeding neck and are drunk by her severed head and two other attendants. Instead of standing on Lord Shiva, the Goddess steps over an embracing man and woman on a lotus. Like Durga Puja, the idol of Goddess Kali at several pandals is accompanied by a silver backdrop (Chandi Medha). Bhikari Das, general secretary of Cuttack Mahanagar Peace Committee said this year, at least 23 idols of Goddess Kali are being set up with Chandi Medhas. While the same backdrop is used for both Durga Puja and Kali Puja in other pandals, only Bakhrabad has a different tableau for the Tantric Goddess. Designed with traditional silver filigree work, the tableau depicts the scene of a cremation ground with two skeletons standing beneath a large banyan tree besides, jackals, owls, and swans being the dominating motifs. Two years back, the Bakhrabad puja committee prepared a beautiful golden crown to the deity. Some of the other Kali Puja pandals worth seeing are the ones at Ranihaat, College Square, Bajrakabati, Khan Nagar, Tulasipur, Bangali Sahi, Choudhury Bazaar and Sutahaat. Kali Puja begins on November 10 and culminates with Diwali. All the idols will be immersed on November 14. In Bhadrak, Kali Puja is celebrated in a grand way owing to the presence of Bhadrakali temple. Like Durga Puja in Cuttack, Kali Puja in this coastal town is a week-long affair that is witnessed by lakhs of people. While a large number of devotees throng the Bhadrakali village, on the outskirts of Bhadrak town, several glittering pandals are erected in Charampa area to house the deity. Likewise, Puri witnesses a grand gathering on the day of Diwali as people observe ‘Badabadua Daka’ to pay obeisance to their ancestors. In the unique ritual, people gather outside the 12th century Jagannath temple and burn jute sticks (known as Kaunriya Kathi in local parlance) inviting their ancestors to descend from heaven on Diwali and bless them. The burning of jute sticks is accompanied by a prayer ‘Badabadua Ho Andhaare Aasa, Aalua Re Jao (Ancestors, come in darkness and go back along the lighted path). With thousands of bundles of jute sticks being lighted on the day, the Grand Road in front of the Jagannath temple offers a beautiful spectacle. “Bada babuaa ho Andhara re asa, alua re jao, Bada dandare gada gada heuthaa”. This has some other meaning as well.. here Badabaduaa means Sadhaba puas as well… they come home on diwali day after finishing their business in far Java, Sumatra Island, and they come in Darak diwali night(Andhara re asa) and they go back again on Kartika purnami night(Boita bandhana), which is full moon night (Alua re jao). after taking blessing from lord Jagarnath. Its a very remarkable article showcasing our odia way of deepavali celebrations. Its indeed a mostly pan india festival but it would have been nicer if could have used deepavali instead of diwali.